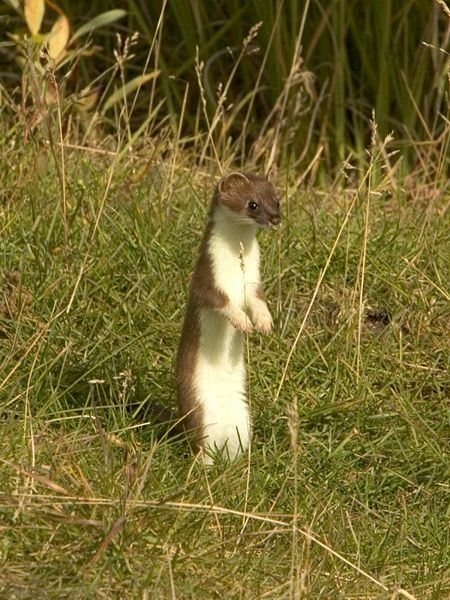 The Ermine is a small weasel-like creature that is about 7-9 inches long without his tail. He has a long, very thin body, and in summer his colors will be brown to dark brown with a white underbelly, while changing to all white fur in the winter time, with the exception of a small black tip on his tail. Ermine live in the forests or areas of deep underbrush, and you will very often find them living in areas that are near to water. The ermine is a vicious little carnivore, sometimes called the short tailed weasel, and like a weasel is very quick and amazingly agile. It has a slender body that is reminiscent of a serpent, mnoving through very small burrows of other animals as well as through the holes in chicken wire, so small an area can it go through in search of a meal. 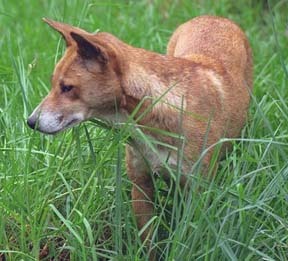 It finds prey in its own home, whether that home is a burrow or up a tree. The Ermine can pursue squirrels or chipmunks into their trees, killing them usually very quickly with one bite into the neck of the animal. 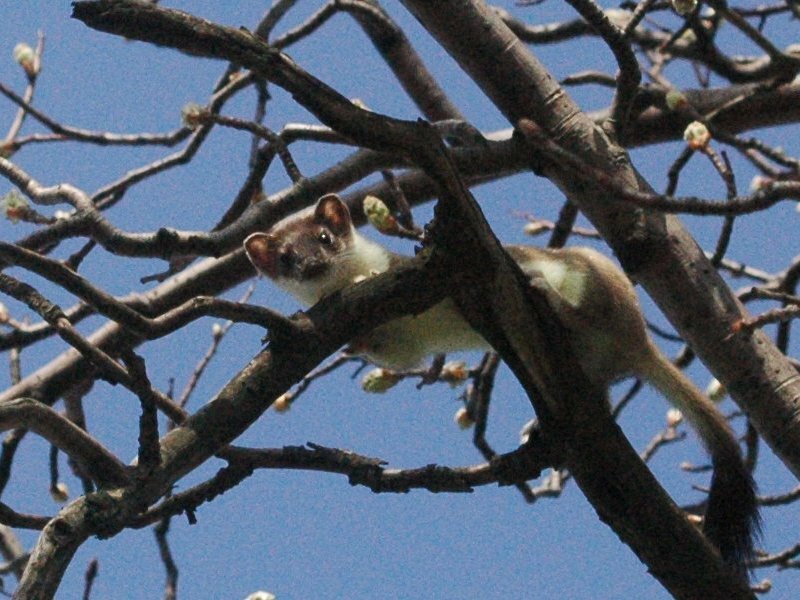 The ermine is a very good climber and can easily chase the squirrel into his own home turf to get a meal.Quite often they don’t eat the meal at one time but will return to the kill several times until it is gone. Two times a year, in the early spring and the late fall the ermine changes his coat nearly completely, a dramatic color change. The ermines white coat has been prized for a long time as a luxury fur and was hunted in the US prior to laws passed to protect it. 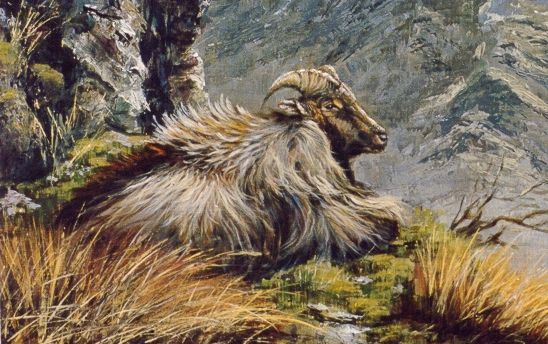 Today those pelts are usually obtained form animals trapped in Europe or Asia. The Ermine is a species of least concern, meaning it is not currently endangered.